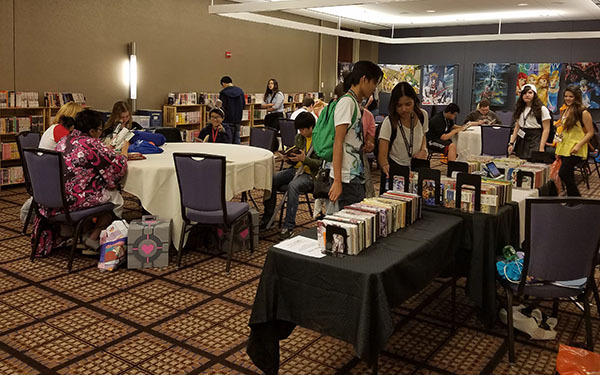 We are proud to welcome back the Carolina Manga Library to ACen 2019! 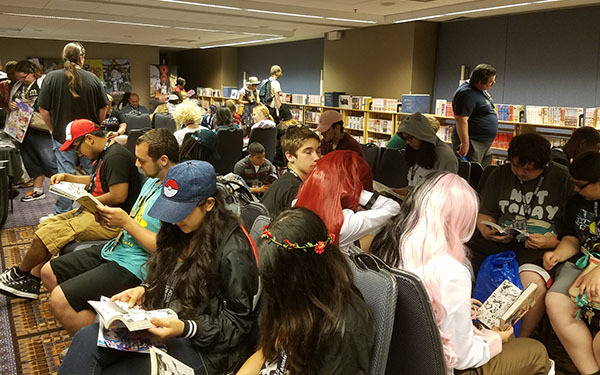 The Carolina Manga Library is a non-profit organization that sets up free libraries at conventions for all attendees to enjoy. They bring over 3000 manga, American graphic novels, webcomics, and novels for fans to enjoy. 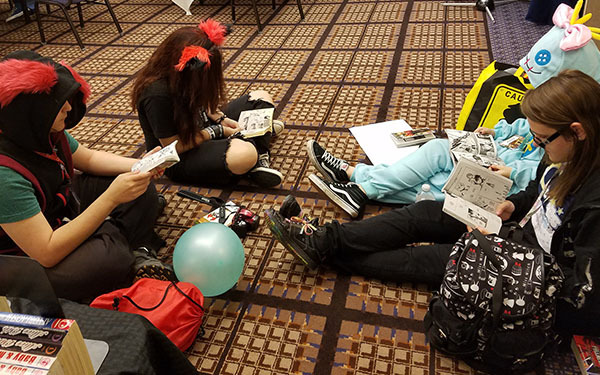 By setting up a quiet place for people to relax at conventions, the Library seeks to promote literacy through the medium that they love. 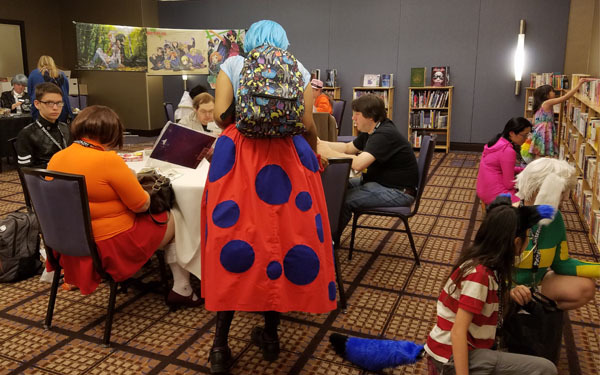 The Library was founded in 2013, debuting at Nashicon in Columbia, South Carolina. 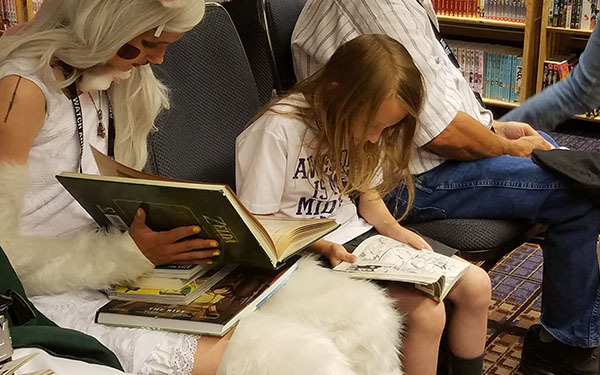 Since then, the Library has been guests at conventions all over the Southern states and their collection becomes larger with every passing month, having expanded to all forms of graphic novels. Their expert staff of librarians and library assistants are also experts in all things manga and graphic novels, so feel free to ask them for recommendations for new series!